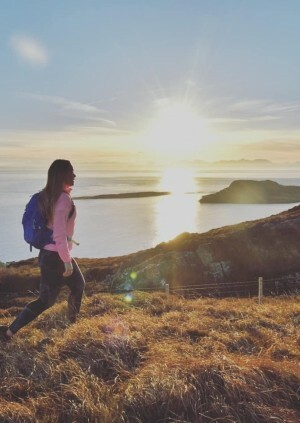 Join Team TRIBE and Challenge Sophie (Global Adventurer, Endurance Athlete & TRIBE Ambassador) for a not-for-profit, three-day, coastal adventure on the stunning Pembrokeshire Coast in Wales. We will be camping at the incredible Hillfort campsite, hiking 20 miles along the awesome Coastal Path; exploring the rocky arches, towering sea cliffs of the local coastal waters & more!! All raising funds for TRIBE Freedom Foundation to help fight modern slavery. On Saturday night we’ll head down to the beach for an epic campfire, BBQ supper, drinks and music. You’ll have the chance to learn more about Challenge Sophie, how to achieve ‘your extraordinary’ and discover an entry into adventure with talks from Sophie, TRIBE and TRIBE Freedom Foundation. This will be followed by a Q&A. No topic is off-limits, so get your questions ready! Coach travel to and from London. Two nights accommodation in yurts & tipis. Guided 20 mile hike on Saturday with Challenge Sophie. Local sea-kayaking tour on Sunday. Saturday night beach BBQ with live music, free drinks & campfire. Free TRIBE nutrition across the weekend! £30 donation to TRIBE Freedom Foundation. This event is raising funds for the TRIBE Freedom Foundation with a £30 donation included in the ticket price. The Foundation’s mission is to fight modern slavery and end human trafficking. In 2017, 5,145 potential victims of trafficking and slavery were referred to UK authorities - the highest number recorded in the UK since figures were compiled and a 35% rise from 2016. In 2018, funds raised by the Foundation will be donated to Snowdrop (a Sheffield-based charity providing long term support for survivors) and Ella’s Home (an East London based safehouse and support network for female victims of trafficking and exploitation). WHAT IF I AM NOT TRAVELLING FROM LONDON? If you are travelling from elsewhere in the UK, please email laragh@wearetribe.co to coordinate logistics and book tickets excluding coach travel. You can bring large rucksacks/overnight bags on the coach from London to Fishguard and leave them at the campsite whilst we are there. You will need to carry a small backpack with all your belongings for the hike. Yes. It will be guided 20-mile walk lead by Challenge Sophie and the TRIBE Team. HOW WILL THE SEA KAYAKING WORK? We will be Kayaking in groups of 20 with the highly experienced & qualified kayaking guides from Kayak-King. Tours will last approx. 1.5 hours. You will need Swimwear, Shoes you don’t mind getting wet, Sweatshirt/ thermal layer and a Towel. Wetsuits, kayaks and personal buoyancy aids are provided. WHAT WILL WE DO IN THE EVENINGS? We are camping in one of the most stunning locations in Wales. Our evenings will be spent chilling on the beach with music, beach games and drinks as we watch the sun go down before settling into an evening by the campfire. On Saturday evening Challenge Sophie will discuss her entry into adventure and host an open and honest live Q&A. You’ll have loads of time to chat with the team including Challenge Sophie, TRIBE and TRIBE Freedom Foundation as well as meeting loads of awesome like-minded adventurers keen to escape the city for a weekend away. A good fitness level is required to complete the hike and the kayaking tour. WHAT IS PROVIDED AT CAMP? Hot & Cold washing up facility. WHAT ARE WE DOING FOR FOOD? Breakfast and supper will be provided by Hillfort Tipis. Breakfast will include: Fruit, yogurt, cereals, fresh milk, tea, coffee, fresh eggs and bread. Supper on Saturday night will be a BBQ on the beach (vegetarian options available). During the hike and activities, we will stop for regular water breaks and TRIBE bars (provided by TRIBE!!). Lunches will not be included. We will be stopping for pub lunches on Saturday and will be picking up lunch in Fishguard on Sunday. We will be splitting the group across a variety of yurts, tipis and bell tents (each sleeping approx. 5 people). If you would rather bring your own tent you are very welcome to pitch it alongside the other tipis and bell tents. Please email laragh@wearetribe.co if you are planning to bring your own tent.